1. Preheat oven to 350 degrees Fahrenheit. 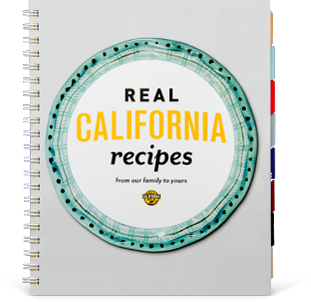 Grease a bundt pan with Real California butter. 2. In a large bowl, combine butter, sugar and coconut oil with an electric mixer on medium speed. Beat in the eggs, one at a time. Add vanilla extract and Real California Plain Greek yogurt. Continue mixing until combined. 3. In a separate bowl, whisk together flour, baking soda and salt. 4. Slowly add the dry ingredients to the wet ingredients, beating on low speed until fully combined. 5. Scoop half of the cake batter into the bundt pan. Pour cranberry sauce over batter, then top with remaining batter. 6. 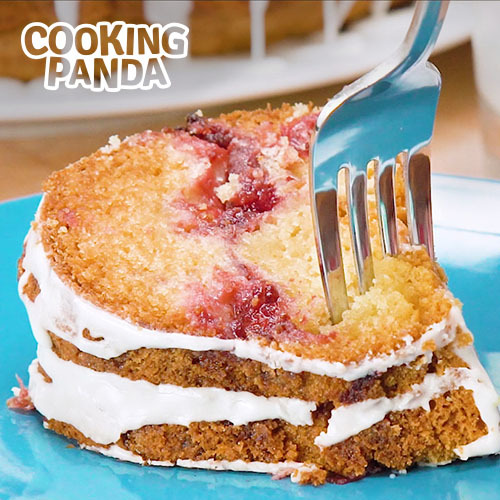 Bake for 45 minutes, or until a toothpick comes out clean when inserted into the cake. 7. While cake bakes, make the glaze. Whisk all ingredients together until desired consistency has been reached. If the glaze is too thin, add more powdered sugar; too thick, add more milk. 8. When cake is done, invert onto a plate and cool for 10 minutes. Drizzle with glaze, serve and enjoy!